and manifested his glory, and his disciples believed in him." When meditating on the occasion of Jesus first miracle, the Wedding at Cana, you may find it helpful to look at a picture of the event or listen to some uplifting music. Mary and Jesus were at a wedding in Galilee in an area called Cana. The hosts ran out of wine. Mary went to Jesus and told him they had no wine. Jesus responded to her, "Woman, what is that to me and to you? My hour is not yet come." This has been misinterpreted by some who say Jesus is rebuking His mother. This is not true. How could it be. Jesus is sinless and is the perfect son. He would never rebuke His mother. Mary did not respond. Rather she went to the waiters and told them, "Do whatever He tells you." Her remark her proves that she knew He was about to perform a miracle. She knew that he would fulfil her request. Jesus instructed the servants to fill some huge pots with water. Because of Mary's advice they obeyed. He told them then to draw some water from the freshly filled pots and take it to the head servant. They again obeyed and were amazed to see that the water was miraculously turned into wine. The head servant not knowing what had occurred, went to the bride and groom and congratulated them on serving the best wine last. Click here to investigate further into the many miracles of Jesus. Learn why they are important to your faith and how you too will believe the ways the disciples did. 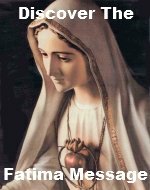 and the mother of Jesus was there"
Here are some additional thoughts to enhance your meditation on the Wedding At Cana rosary mystery. Return often to this page when you are praying this Luminous Mystery of the rosay - Wedding At Cana. 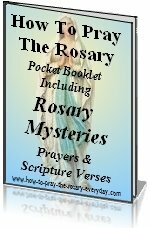 You can also contribute your own meditations on this Rosary mystery, read what others have contibuted and even comment on or add to them. Mary had such strong faith in Jesus that she knew He was God and could preform this miracle. The best wine was served last. Jesus turned the water into wine. This wine was much better than the other. Everything Jesus graces becomes much better than it was before. Mary is not only present at Jesus first miracle at the wedding at Cana, she requested it. God instituted marriage in the beginning. It is appropriate that Jesus would be present at a wedding. His presence at the Wedding at Cana raised the institution of marriage to a sacrament by which the husband and wife receive grace. It is important to point out that Jesus refers to Mary as woman here. Mary is called woman by Jesus twice in St. John's gospel. Once here and once again from the cross. This is significant because it can be deduced that Mary is the woman in the first and last book of the Bible as well. Sin came into the world through a woman, Eve, and it is also through a woman, Mary, that salvation came to the world, the birth of Jesus. By the advise Mary gave to the servants, "Do whatever He tells you" she is also leading you to eternal salvation. Think of Jesus' meaning in this phrase, "What is that to me and to you?" This is the end of the hidden life of Jesus. Remember Simeon's prophecy, "Your heart too shall pierced by a sword." There are many times when Mary is silent and does not offer a response. This is another of these. She does not go into discussion, she goes into action. Jesus fulfills every one of Mary's requests. She is a the perfect advocate and ally. Jesus first miracle was turning water into wine. This is the is the first time he is shown turning one thing into another. The next time He does this is when He feeds five thousand with five loaves and two fish. -John:6. These two events are a prefiguration of the institution of the Eucharist when Jesus turned His own body and blood into bread and wine at the last supper. Dear God, your greatness is shown through the miracles of Jesus, letting the world realize that you are very real. Thank you for all the little miracles that you have allowed to happen in my life. I know that You will provide for me in all that I need. Help me turn to Your Mother in confidence in the knowledge that You would deny her nothing and that she as a loving mother will protect and guide me.